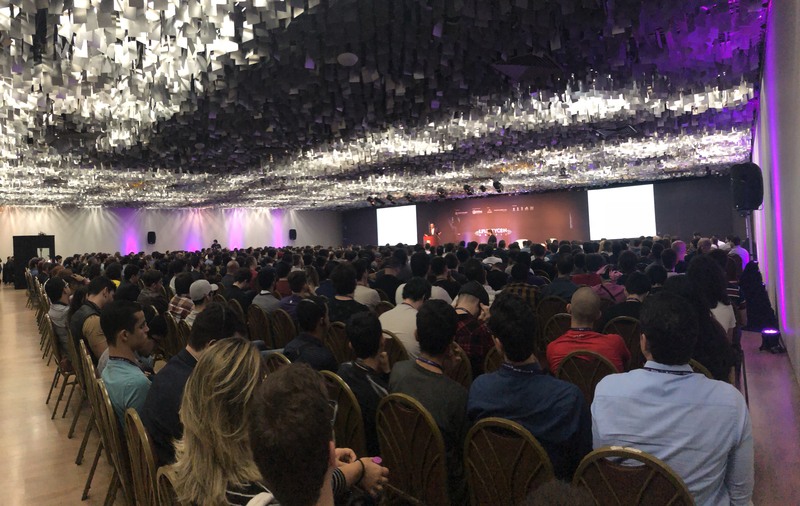 The opening session of LIBERTYCON at the Maksoud Plaza Hotel in São Paulo. The success of the Nordic countries can be explained, not by social democracy, but by free trade, the rule of law and social cohesion brought about by homogeneity and a long shared history, RNH Academic Director Hannes H. Gissurarson argued at a very well-attended conference of (classical) liberal students in Brazil, LIBERTYCON, 12–13 October 2018 in São Paulo. Other speakers at the conference included Brazilian scholars Adriano Gianturco and Bruno Garschagen, Judge Bruno Bodart and some Brazilian libertarian activists and businessmen. Foreign speakers came from Atlas Network, the international Students for Liberty and other organisations. 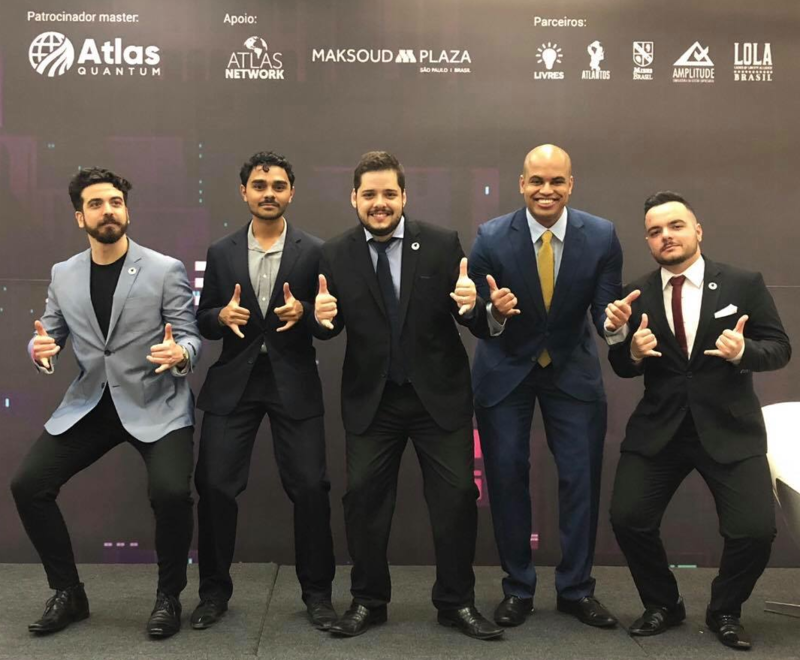 Fernando Henrique Miranda, André Freo and their fellow Brazilian student leaders organised the conference, held at Maksoud Plaza Hotel and attended by more than 800 people, with tickets sold out. In his lecture Gissurarson recalled that the Finnish-Swedish priest Anders Chydenius had proposed the “invisible hand” before Adam Smith and that the liberal tradition had been strong in the Nordic countries in the 19th century, as was evident from the Constitution which the Norwegians accepted at Eidsvoll in 1814, one of the most liberal constitutions in the world at the time. Johan August Gripenstedt, a disciple of Frédèric Bastiat, was one of Sweden’s most influential politicians. As a government minister in 1848–1866 he laid the foundations for the unbroken period of economic growth in Sweden for a century after 1870. The Social Democrats who came into power in the 1930s enjoyed the fruits of this economic growth. However, their “Swedish Model” of high taxes and rapid expansion of the public sector, implemented in 1970–1990, proved to be unsustainable, and the Swedes have been gradually moving away from it since. Even in tiny Iceland there has been a liberal tradition, defended and developed by Jon Sigurdsson, the leader of Iceland’s independence struggle, Arnljotur Olafsson, the author of the first book on economics published in Icelandic, and Jon Thorlaksson, the founder and first leader of Iceland’s largest political party, the Independence Party. Gissurarson was asked what advice he could give the Brazilians. He replied that three witches seemed to be hovering over Brazil: Their names were Violence, Corruption, and Poverty. The Brazilians had to drive those three witches out of their country by various means, including that of heavier punishments for violent crimes. With increased public security, the opportunities of poor people to reach prosperity peacefully, by their own hard work, would increase. Foreigners often concentrated on income inequality in Brazil. Possibly at present the wealth of some Brazilians was derived from privileges and monopolies unlike what would be the case in more competitive economies, but experience has taught mankind that the poor did not become richer by the rich becoming poorer. What was most important, Gissurarson said, was to create opportunities for the poor to become richer, while tough competition, especially in the capital market, could see to it that the rich would have to exert themselves in order to maintain their wealth; it was a principle of the free market that a fool and his money were soon parted. Bureaucracy was also stifling the growth of small businesses in Brazil. Gissurarson’s participation in the conference formed a part of the joint project by RNH and ACRE, Alliance of Conservatives and Reformists in Europe, on Europe, Iceland and the Free Market. At the end of the conference, Hélio Beltrão, Director of the Mises Institute in São Paulo, presented Gissurarson with a book, História do liberalismo brasileiro (History of Brazilian Liberalism), by philosopher Antonio Paim. The organising team, from left Jehan Piero Giuliani Dall’Asta, Ivanildo Santos Terceiro, Fernando Henrique Miranda, Nycollas Liberato and André Freo.